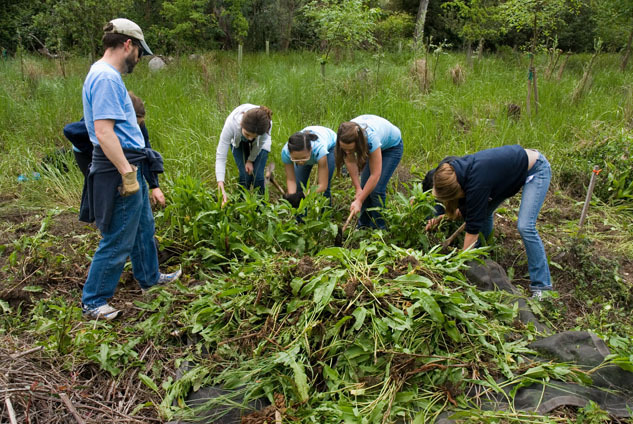 Through habitat restoration projects, Friends of Corte Madera Creek has an opportunity to make tangible and dramatic improvements to the watershed’s natural environment at a small scale, and often at the same time to involve the community in exemplary and satisfying projects. Most of these projects depend upon volunteer labor and modest grants to cover the costs of plants, planting supplies and temporary irrigation systems; limited professional help may be hired to, for example, remove non-native trees. Projects on private property, where Friends may serve in an advisory role, generally call for professional labor and more significant funding.